This book is a comprehensive history of the rig's development from its emergence in Holland in the early years of the seventeenth century right up to the present when it is experiencing a renaissance in the world of luxury charter. In this broad-ranging survey the author describes in detail the development of this beautiful rig and gives examples of all these types; in doing so he tells a rich and varied story which delves into every corner of maritime history. This lively and accurate adventure tale provides a fictionalized account of life on the Chesapeake Bay at the turn of the century. 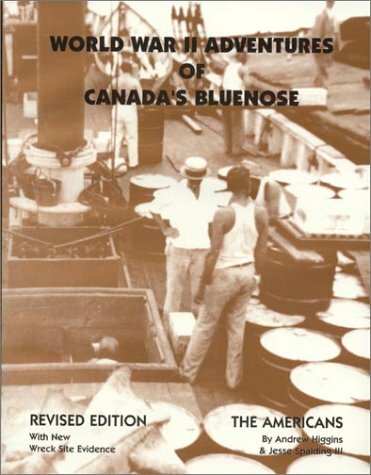 "At a time when shipping in the Atlantic was treacherous because of German submarines, the Bluenose played a key role in the war effort, Higgins notes, by transporting a variety of goods, including dynamite for making airfields in the West Indies, Central and South America. In addition to carrying bombs and fuel for Allied forces the ship supplied food and other essential items to areas that needed them." 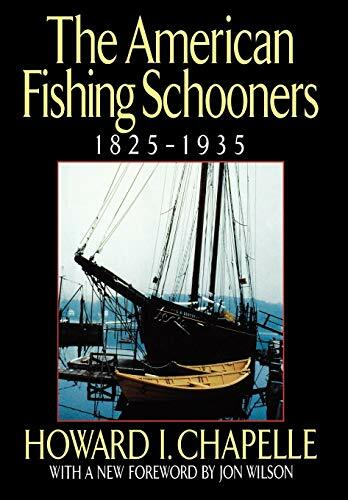 tells how to identify all the individual vessels and gives histories of all the Maine windjammers, plus the schooner Bowdoin and others that either hail from Maine or regularly sail its waters. A comprehensive guide to tall ships and sail training vessels operated throughout North America and worldwide. Contains listings for 227 tall ships and sail training vessels, including vessel and program descriptions, photographs, and contact information. Also contains information on shoreside programs, articles describing sail training experiences, and all the information needed to plan the adventure of a lifetime at sea. A must for all tall ship enthusiasts and for anyone seeking to learn at sea, under sail. Author Virginia Thorndike's love of sailing and great boats shines through in her lively portrait of this remarkable vessel. The 74-year-old Bowdoin comes alive through the personal journals, published records, and tales from dozens of people whose lives have been changed by their time spent with the schooner. Thorndike traces the Bowdoin's diverse lives from an exploration vessel and conscript in the Navy during WW II, to a museum exhibit and a classroom for Outward Bound. The biography includes historic, black-and-white photos of the Bowdoin and those who have sailed aboard her on more than 25 Arctic voyages, as well as outstanding color photos by acclaimed photographer Tom Stewart. Today, owned by Maine Maritime Academy. Harold Stephens true story brings out the life -long dreams of un-counted wouldbe adventurers from building the " 3rd SEA " to Her tragic death in the Hawaiian Islands . The story has it all , filled with adventure, terror, love, humor, & finally tears . Many a serviceman can relive the excitement & beauty of these So. Pacific islands which only Harold Stephens can describe . I personally, have given at least 9 copies of " The Last Voyage" and have had 100% of the receipents in total awe and 100% " could not put the book down " . A final note . This is an author who lived his dream & is able to share it with the world !! Maritime historian Druett offers an intimate glimpse into the unconventional lives of the wives of nineteenth-century sailing captains who chose to accompany their husbands on their arduous and often perilous voyages. Interweaving journal entries and passages of letters penned by the intrepid women who ran households aboard the "hen frigates,"
Analyzes Washington's naval leadership during the pre-Revolutionary and Revolutionary period, describes the flotilla's eight ships and personnel, and recounts the fledgling navy's successes and failures and the reactions of the Royal Navy and the emerging American nation. For general readers interested in American history and navies. Annotation c. by Book News, Inc., Portland, Or. The author served as a seaman on the last American commercial sailing ships in the 1930s (coastwise schooners). The book is a collection of magazine articles that describe his adventures, relate the history of those last ships, and explain some of the the technology. It is illustrated by numerous photographs, many taken on shipboard by the author.